JPL TT3 boom module with noise cancelling microphone, simply positioned for comfort with click-stop rotation and flexible boom. 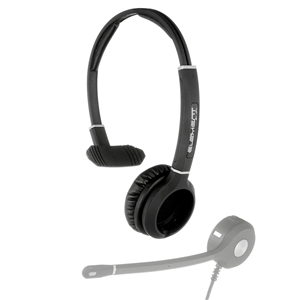 Plantronics compatible quick disconnect when used with JPL single and dual ear headbands (JPL -TT3-MON-HB & JPL TT3-BIN-HB) to make a complete headset assembly. JPL Boom requires selection of headset assembly for complete headset and required bottom cord for connection to phone or PC. The JPL Boom has a compatible Plantronics quick disconnect. See JPL accessories for correct connect cord or call for compatibility questions.